At least one member of the Jets was blown away by looking across the line of scrimmage at Tom Brady. Patriots quarterback Tom Brady had just completed 34 passes for 355 yards and two touchdowns during another New England win over the Jets, but New York safety Dion Bailey wasn’t angry. The young defensive back was still in awe of the Hall of Famer he just faced. An undrafted free agent out of USC, Bailey signed with the Seattle Seahawks in 2014 before landing in New York off waivers in late September. He played 29 snaps on Sunday after starting safety Calvin Pryor left with an ankle injury. Brady put together another vintage performance against the Jets defense, throwing for over 350 yards and scoring three touchdowns (one rushing) despite the Patriots calling just five run plays to running backs. Head coach Bill Belichick put the game in his quarterback’s hands, and the four-time Super Bowl champion delivered. 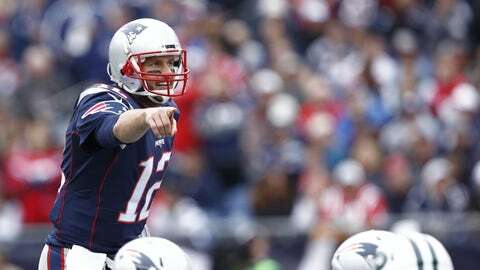 Brady threw two touchdowns in the fourth quarter to power the Patriots to a 30-23 win over their division rival. Brady picked on Bailey during a key spot on Sunday. Facing a 3rd-and-17 on New England’s first touchdown drive in the fourth quarter, Brady found receiver Julian Edelman for 27 yards against Bailey’s coverage. Five plays later, receiver Danny Amendola caught Brady’s pin-point throw for an 8-yard touchdown. The Patriots took a 23-20 lead and never trailed again. For better or worse, Bailey is already looking forward to his next opportunity to play Brady.